The Jehovah’s Witnesses are selling a package of six prime DUMBO properties for a whopping $375 million, the buyers announced Monday. Several of the buildings are expected to be redeveloped as offices – which will be a boon to a neighborhood that’s starved for office space for growing tech firms. Office vacancy in DUMBO is 1.25%, according to published sources. The buildings being sold by the Watchtower Bible and Tract Society of New York Inc. are 117 Adams St., 175 Pearl St., 55 Prospect St., 81 Prospect St., 77 Sands St. and 90 Sands St., which altogether have a total of more than 1.2 million square feet of commercial space, buyers RFR and Kushner Companies said. The two New York City-based real estate firms entered into a contract to purchase the buildings – which they will redevelop in partnership with LIVWRK Holdings. The massive property deal is the next step in the Jehovah’s Witnesses’ long-running effort to sell their Brooklyn holdings for a move to upstate New York. “We are delighted to partner with Kushner Companies and team with LIVWRK to become the new stewards for these exceptional properties in this burgeoning neighborhood,” said RFR’s Head of Acquisitions Jason Brown. The building at 90 Sands St., which is a 30-story hotel, will remain occupied until 2017 when its sale will be finalized, according to the New York Post, which broke the story of the purchase deal in advance of the buyers’ announcement. The sale of the other properties, which are industrial buildings, is expected to close in September, the Post reported. The religious group’s first high-profile Brooklyn property sale was of 360 Furman St. in 2004 for $205 million. The waterside building was converted into condominium development One Brooklyn Bridge Park. The other big sale took place last year, when the Jehovah’s Witnesses sold the Bossert Hotel at 98 Montague St. to investors David Bistricer and Joseph Chetrit for $81 million. The iconic property – which had been used as free lodging for Jehovah’s Witnesses – is set to reopen as a luxury hotel that will bring an influx of well-heeled guests to dine and shop on Montague Street. 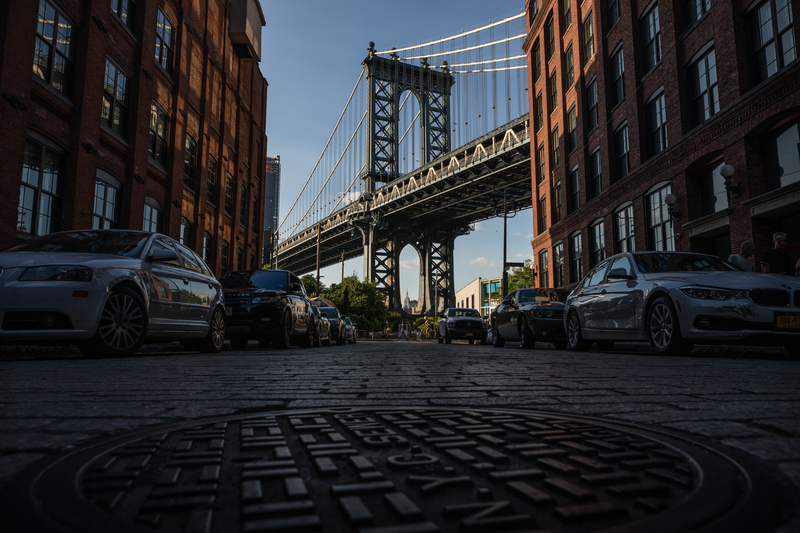 “Watchtower took impeccable care of these assets and we are thrilled to help incorporate them into DUMBO’s thriving mixed-use community,” said LIVWRK’s founder, Asher Abehsera. He has plenty of experience in the DUMBO market. He is the former general manager of the Walentas family’s Two Trees Management Co., which did much of the office and residential development that turned DUMBO into a hot neighborhood. RFR, founded by investors Aby Rosen and Michael Fuchs, owns more than 100 properties; its real estate portfolio is anchored in Manhattan and commercial markets in Germany. Its most famous trophy is the Seagram Building at 375 Park Ave., designed by modern architecture master Ludwig Mies van der Rohe and Philip Johnson. Jared Kushner, who is married to Ivanka Trump, is the publisher of the New York Observer. Last year, his real estate company acquired nearly 1 million square feet of New York City and New Jersey commercial real estate.